The natural friction of the water against your skin activates your lymphatic system which helps get rid off toxins and visibly reduce cellulite. Water is 1000x thicker than air, creating an extra layer of resistance to burn more kcal, build-up endurance and strength. 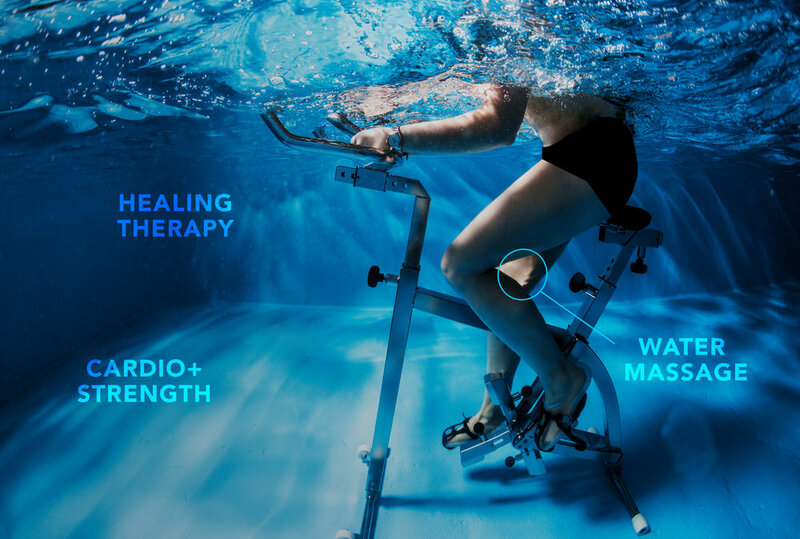 The buoyancy of water creates a safe environment for your body to recover, heal and strengthen the deep muscles, supporting your bones & joints. Connect within, exercise in full consciousness, nurture yourself through daily exercise, wholesome food, breathing and mindful practice to attain optimal health. Your body knows how to heal itself. It just needs the right tools. Our classes are for everyone, whatever your story, whatever your fitness level. No competition. No judgement at AQUASTUDIO®. You are doing the work for yourself and we are here to support your goals. We believe that you don’t have to be in pain to get a great workout, in fact, we think you should feel renewed, empowered and relaxed. Our philosophy is about feeling good first! To us, it goes well-beyond being the 'new fad' or the 'most buzzed-about New York studios' as read in the press. We believe we are on a mission to bring awareness on the magical healing power of water and to continue helping people improve their health, in NY and across the USA. While we do this, we are passionate about making conscious business decisions to protect our planet and educate our community on the importance of caring about the permanent impact of our daily actions on the environment.